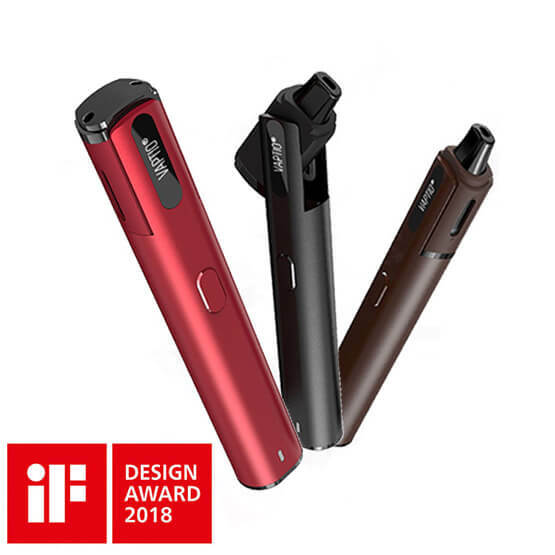 Sick of inhaling pocket-fluff when you vape? The Vaptio Spin It Kit’s innovative, Design Award winning spin & hide mouthpiece keeps it clean and fluff-free! Closing the mouthpiece also shuts off the power supply, avoiding any chance of accidentally activating the battery when the kit is in your bag or pocket. 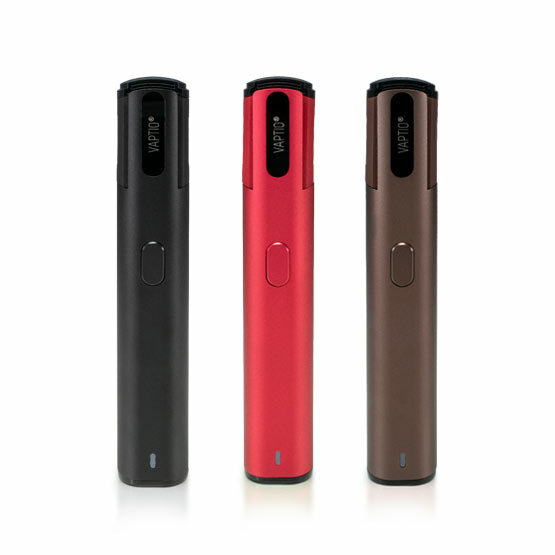 This pod mod is perfect for any vaper looking for a simple but thoughtfully designed vape kit. 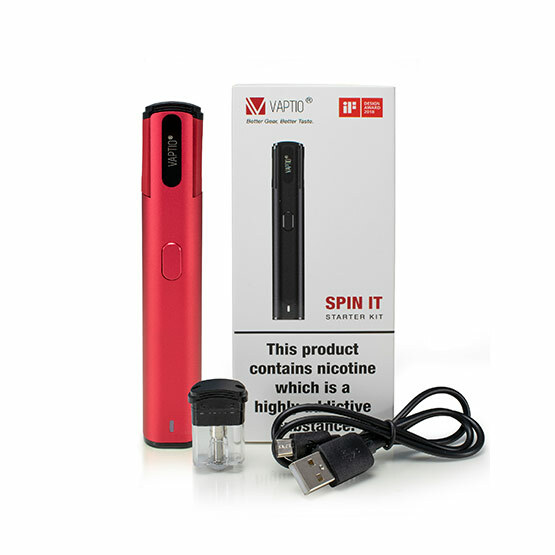 The Vaptio Spin It all-in-one kit features a 650mAh battery and refillable pods. These handy replaceable pods feature a built-in 1.2 ohm coil with Japanese organic cotton. Simply keep refilling the tank until the flavour begins to deteriorate then replace with a new pod. 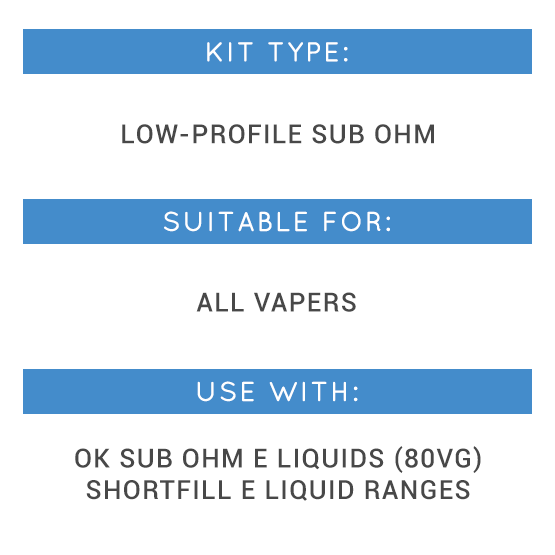 Order this kit today with free delivery and choose two free OK Classic or NicSalt E-Liquids!